Manufacturer of synthetic oil, premium synthetic lubricants, synthetic motor oil, synthetic engine oil, gear lube, gear oil, greases, compressor oil, oil and air filters, synthetic diesel oil. Online store for home delivery. Grease. Synthetic Grease. Lithium Complex Grease. Excellent impact resistance, reliable contaminant control and maximum longevity. Keeps components running clean and trouble free for outstanding performance and long life. 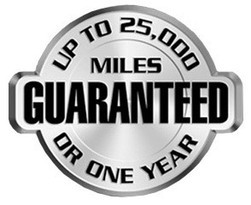 NLGI #2 is the primary wheel bearing recommendation. It provides superior protection for bearings operating under high-speed, high-heat and heavy-load conditions. Resists water washout and degradation. Unparalleled protection for boat trailer wheel bearings and other components frequently exposed to water. Stays in place, lubricates and protects against rust. 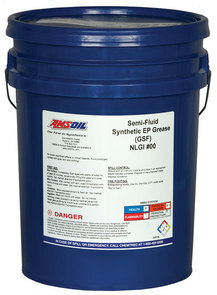 A lithium-complex thickened grease blended with premium ISO-320 synthetic base oils. Additives provide EP protection, oxidation resistance and rust and corrosion protection. Excellent for use in heavy-duty industrial and off-road applications where equipment is working under adverse conditions. Ultra-premium aluminum-complex grease designed with non-toxic additives to help keep food and pharmaceuticals free from contamination. It is acceptable as a lubricant with incidental food contact (H1) for use in and around food-processing areas. Effectively reduces friction and wear, keeping components running clean and trouble-free for outstanding performance and long life. It applies quickly and evenly and is ideal for greasing hard-to-reach equipment, including hinges, springs and other common applications. 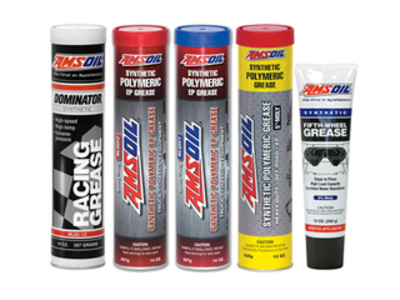 Which AMSOIL Oil is Right for Me?